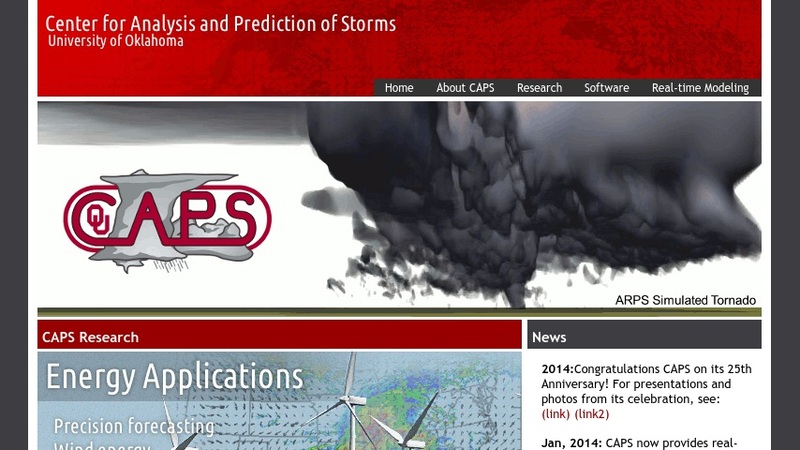 The Center for Analysis and Prediction of Storms (CAPS) at the University of Oklahoma works on the development and demonstration of "techniques for the practical numerical prediction of high-impact local weather, particularly thunderstorms, with emphasis on the assimilation of high-resolution observations from Doppler weather radars." Researchers can discover CAPS main projects including the radar acquisition field test and the environmental hydrology workbench. The website features CAPS daily real-time analysis and forecast system where users can obtain data for the continental United States, the Plains, and the Northeast US. Users can find surface, radar, satellite, upper air, and additional weather related data.